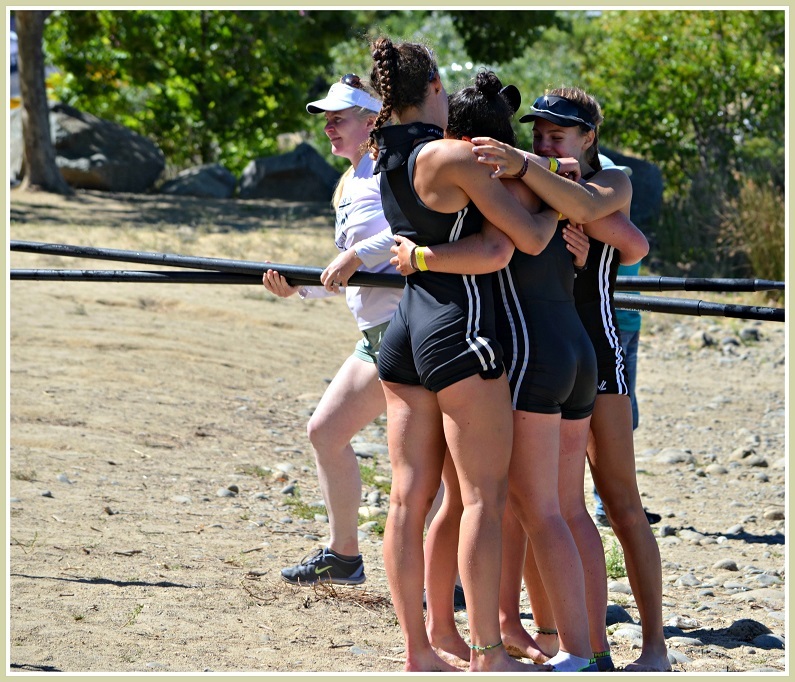 Earlier this month, Saugatuck Rowing Club’s junior women won the US youth 8+ championship in California. It was a remarkable 4th straight national title for the local club. Two other boats medaled: the women’s youth lightweight 4+ earned a silver, and the men’s pair a bronze. Nine of SRC’s champion rowers are from Westport. 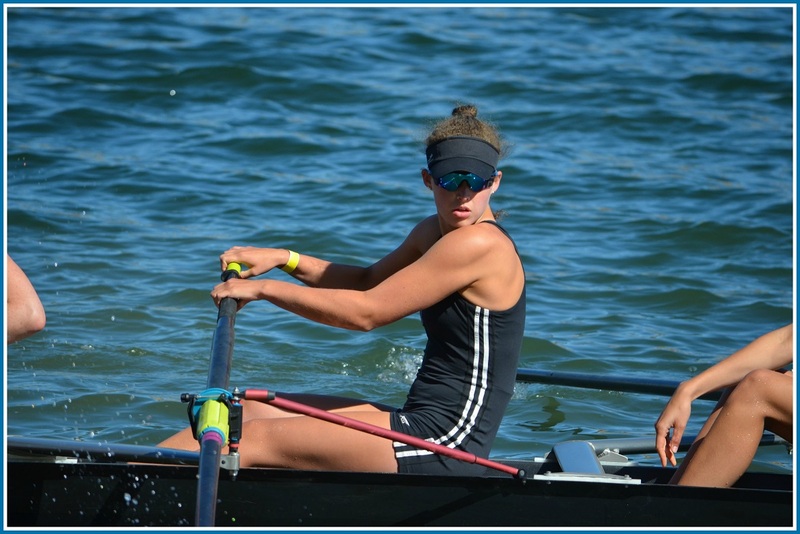 Staples High School senior Kelsey McGinley, at US Rowing’s youth national championship. Rowing is a natural extension of that. But simply having “great kids, supportive parents and excellent facilities” is not all. Since arriving in 2007, Kriz has developed an all-encompassing culture of sportsmanship and leadership. It filters down, from one group of rowers to the next. The boat that captured the 4th national title this month is completely different than the first winners in 2015. Alumni return often, to pass along the lessons they’ve learned. All 7 summer staffers are former SRC rowers. Some are still in college. Others plan to be full-time coaches — hopefully, at the handsome Riverside Avenue club. A mentorship program has moved from the girls to the boys, and now to the parents. Every new rower and adult is pared with an experienced one. The result is twofold, Kriz says: support and relationships. In a high-powered, hard-driving area like Fairfield County, managing expectations can be hard, Kriz admits. “We have 60 boys and 60 girls. Not all of them will be star rowers. That’s the nature of a competitive team. 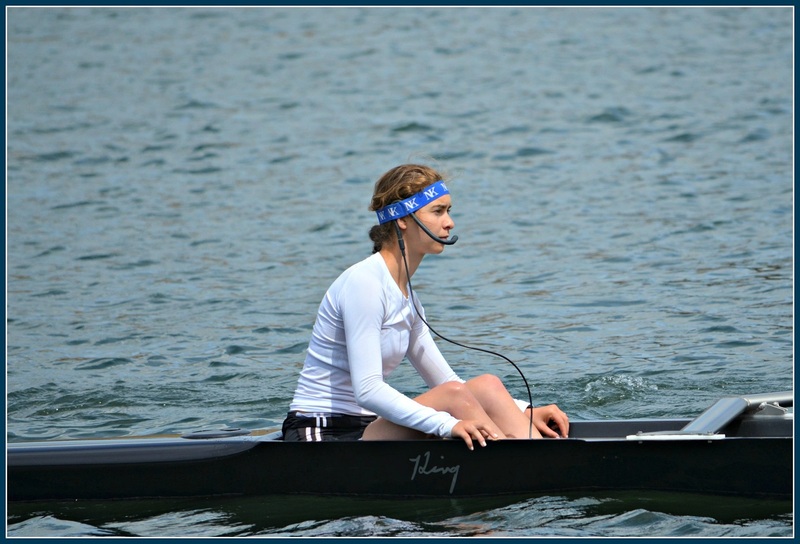 Staples High School senior Isabelle Grosgogeat is coxswain on the national champion boat. Saugatuck Rowing has plenty to offer, besides top-notch coaching, a clear and cohesive philosophy, and excellent equipment. The facility itself is a draw. Parents — who come from several towns, besides Westport — can drop off their youngsters, go upstairs and work out themselves. They can have a drink or meal at the restaurant, or just sit on the patio and gaze at the water. “It’s a special place,” Kriz says proudly. Of course, the Saugatuck is also a tidal river. But in the end, Saugatuck Rowing Club’s success — and draw — comes down to the people in the boats. And on land. Director of rowing Sharon Kriz (far right) and junior girls head coach Gordon Getsinger (far left) pose with Saugatuck Rowing Club’s graduating seniors. All wear the logos of the colleges they’ll attend. This entry was posted in Sports, Teenagers and tagged Rowing Magazine, Saugatuck Rowing Club, Sharon Kriz, US Rowing. Bookmark the permalink. Hi Josh, we are very responsive to any feedback you’d like to give us., Please feel free to come by or give us a call at 203-221-7475. Hi Sharon, I tried contacting the club numerous times and no one bothered to get back to me. Here are some of the major issues: 1) your motor powered boats fly by at high speeds in no wake zones. on one particular occasion, such a big wake was created that i was knocked off the dock, fell into the water hitting the dock, and sustained injuries that took a couple weeks to heal. on multiple other occasions i have it on video with the boats flying by with no regard to people on docks, on boats, or boats hitting up against docks due to the wake caused. most of the river is a no wake zone. your motor powered boats do not get a special exemption. 2) your rowers do not own the saugatuck river. in fact, they have no place on the pecking order when it comes to boat regulations. rowers need to understand that the river is not dredged and there are shallow parts and motor boats cannot go out of the channel. since skulls have virtually no draft, they can actually stay well out of the channels, where possible. it is also not appreciated when they stop or regroup in the the middle of a channel, motor boats cannot stop on a dime, and require speed to maintain steerage, pull off to the side! I have been boating on the Saugatuck River for many many years and in the past couple years your rowers have been a complete nuisance. I’m very sorry you feel that way Josh. As I said before, our doors are always open if you’d like to come in and discuss this with us. There is nothing to discuss. Have your boats obey the no wake zone and be considerate of other boaters and their boats. Just saw the news that a rower fell out of a boat on the river and sparked a response from PD and Fire. Where was the rower’s life jacket? Why was no boat from the rowing club there to assist?